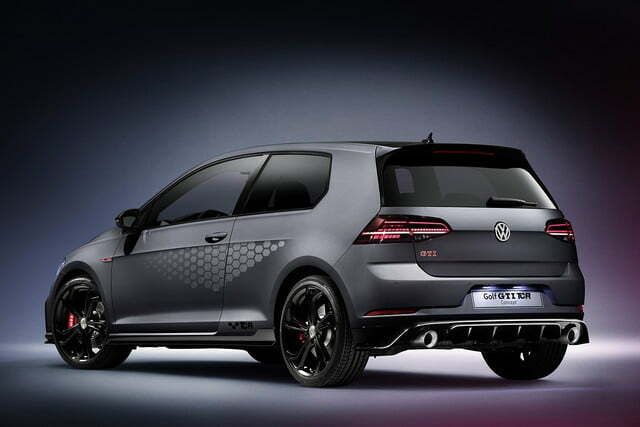 Volkswagen has pushed the Golf GTI to a level of performance it has never reached before. 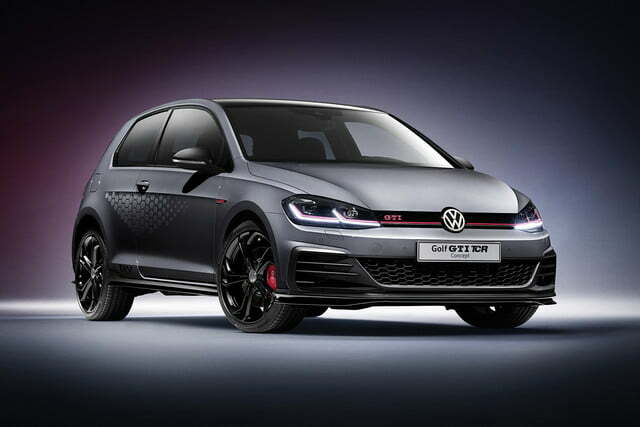 The German brand traveled to the annual Wörthersee show in Austria to introduce a concept car named Golf GTI TCR that nearly trespasses on the Golf R‘s territory with a four-cylinder engine on steroids. The TCR uses a 2.0-liter turbo four; so far, it sounds just like the GTI offered in showrooms. But while the one you can buy today offers 220 horsepower, the concept car aims higher with 286 horses under the hood. 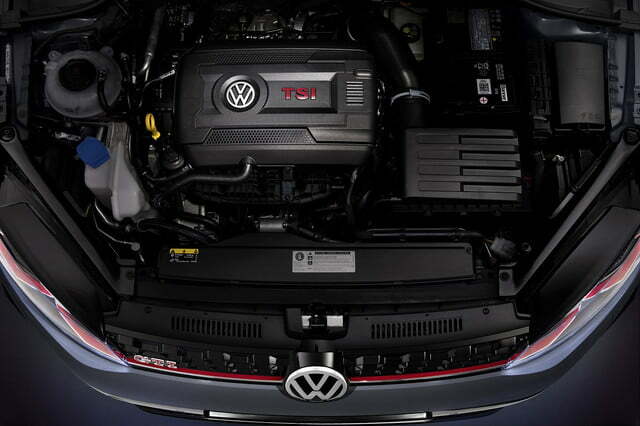 Its torque output checks in at 273 pound-feet, an increase of 15. The turbo four continues to spin the front wheels through a seven-speed, dual-clutch automatic transmission and a limited-slip differential. With the electronic speed limiter removed, the TCR hits a top speed of 164 mph if it has enough tarmac ahead of it. The company hasn’t announced the hatchback’s zero-to-60-mph time, though. The modifications aren’t limited to the specifications sheet. 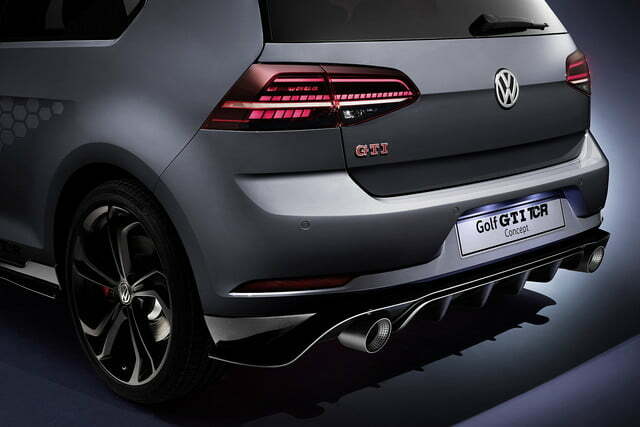 Right away, onlookers can tell they’re not standing in front of a stock GTI. The visual modifications include a concept car-specific front end characterized by a U-shaped air dam integrated into the bumper. It has honeycomb inserts that echo the ones in the grille. It’s not just for show; it directs cooling air to the additional radiators needed to keep the temperature in check in the engine bay. Designers also added a front splitter, side skirts, and a redesigned air diffuser with integrated exhaust outlets. 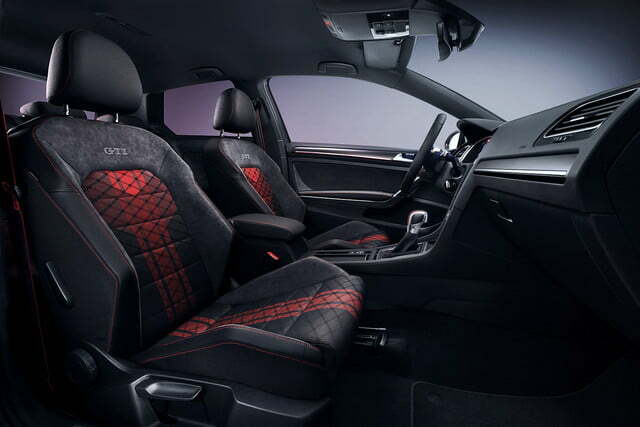 The high-performance treatment continues inside with a modern take on the original GTI‘s tartan-upholstered seats. It’s equipped with a driver-configurable digital instrument cluster and a wide, motion control-enabled touch screen for the infotainment system. It displays the functions you expect to find in an infotainment system, like navigation and media options, while adding a sport menu with a lap timer. Volkswagen calls the Golf TCR a near-production-ready concept car, but it’s already planning to launch it as a production model. 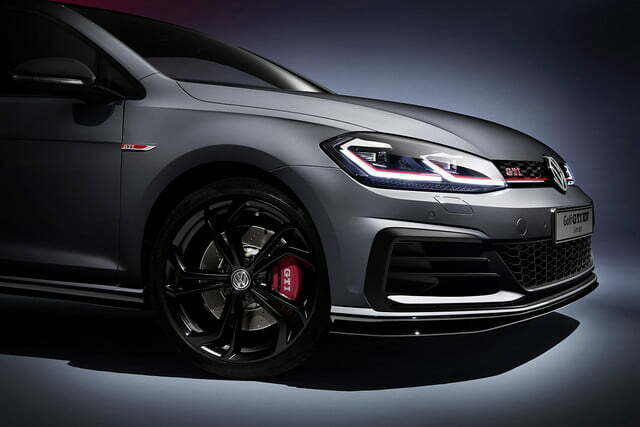 If you ask us, Volkswagen’s latest concept car will morph into a limited-edition model that will serve as the current GTI’s swan song. 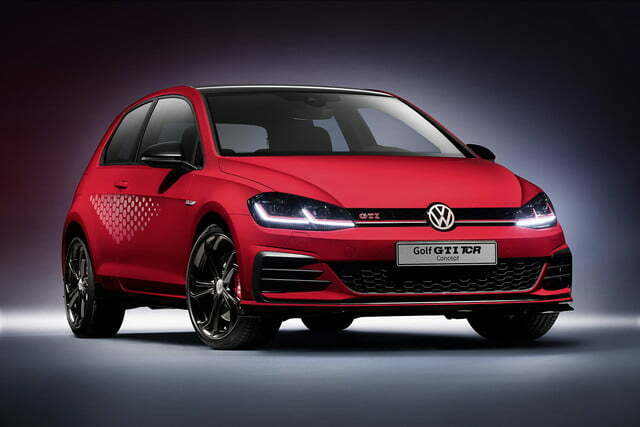 We won’t have to wait long to find out if we’re right or completely wide of the mark; the next-generation Golf is tentatively scheduled to make its debut next year.